Kirk Fraser was out in the waters with his friends and family when all of a sudden a seal boarded their boat. 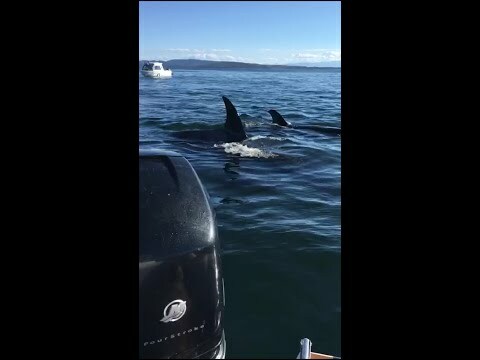 At first, they have no idea what is going on and then realize the killer whales near by. There was a total of 12 trainsiet​ killer whales and this seal survived to see another day. Next Dog Senses Something Wrong Over 5 Miles Away And Saves A Childs Life, Incredible.